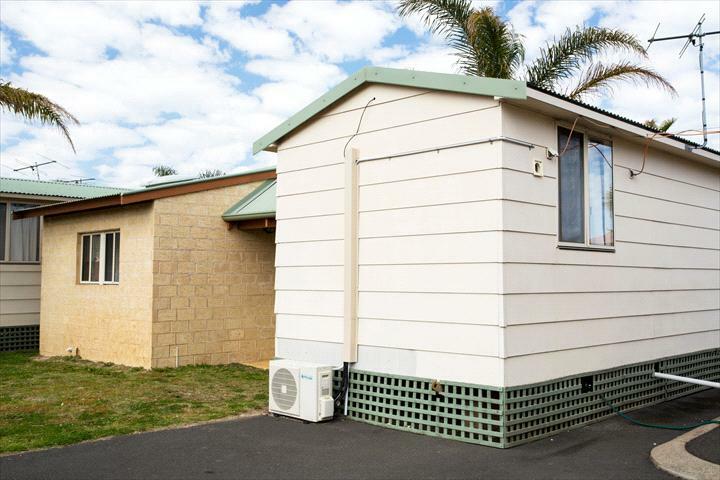 Discovery Parks - Bunbury Foreshore is walking distance to the city and is situated between the Leschenault Inlet and the white sandy beaches of Bunbury where the dolphins swim free. We offer free BBQ facilites, 2 camp kitchens, a swimming pool (closed during winter months) & tennis courts and we are right next door to a childrens playground. Only a short drive to the beautiful South West wineries of Margaret River and the tall climbing trees of the Karri Forest. Our 4 star property consists of 3 bedroom chalets and 2 bedroom holiday units. 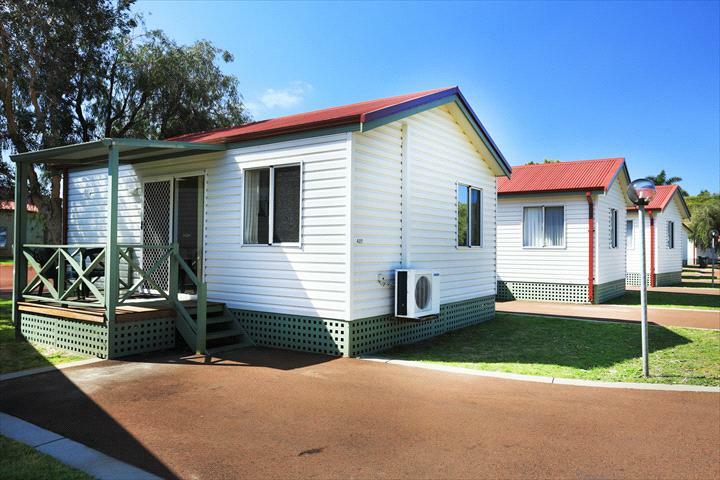 Discovery Parks - Bunbury Foreshore is located close to city amenities but far enough away to escape the city clamour. Whatever your style of escape we can offer you a perfect solution from fully contained 3 bedroom chalets, ensuite caravan sites to simple, clean and quiet camping spaces hand crafted to blend in with the natural environment. 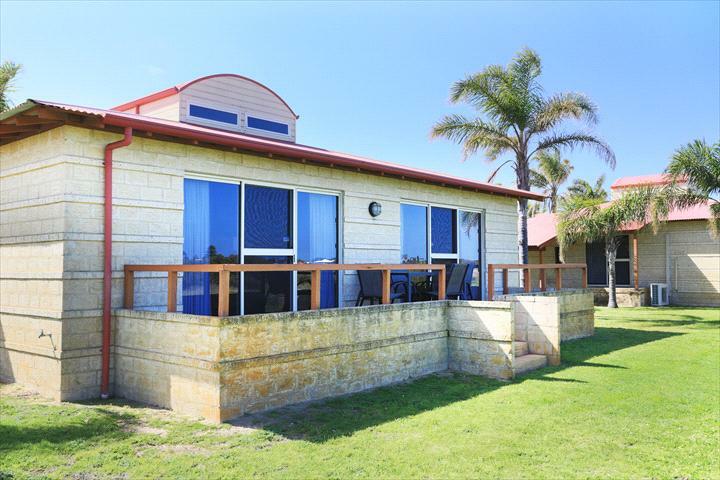 Bunbury Foreshore also offers a range of business and recreational facilities including function room, tennis & basketball court, swimming pool (closed during winter) large bouncy pillow and cafe - all with easy parking. The Park is opposite the acclaimed Dolphin Discovery Centre where adults and children can experience wild dolphins at close quarters. Two Bedroom, with spa, Balcony.One Queen bed in one room and two singles in the second bedroom. Air Conditioned, Gas/ electric heater & ceiling fans. Kitchen with gas stove, oven, microwave, full size fridge, kettle, toaster, cookware, cooking utensils and cutlery. Dining area and separate living area with LCD TV and DVD player. Bathroom with walk - in shower and separate toilet. Hair dryer and iron / ironing board. Balcony with outdoor setting. Three Bedroom Chalet, one queen bed in main bedroom, second bedroom 2 single beds and 3rd bedroom has a single bed and a trio bunk. Balcony with outdoor setting with city views. Air Conditioned, Gas/ electric heater & ceiling fans. Kitchen with gas stove, oven, microwave, full size fridge, kettle, toaster, cookware, cooking utensils and cutlery. Dining area and separate living area with work desk,sofa,LCD TV and DVD player. Bathroom with walk - in double shower and separate toilet. Washing machine and dryer. Hair dryer and iron / ironing board. 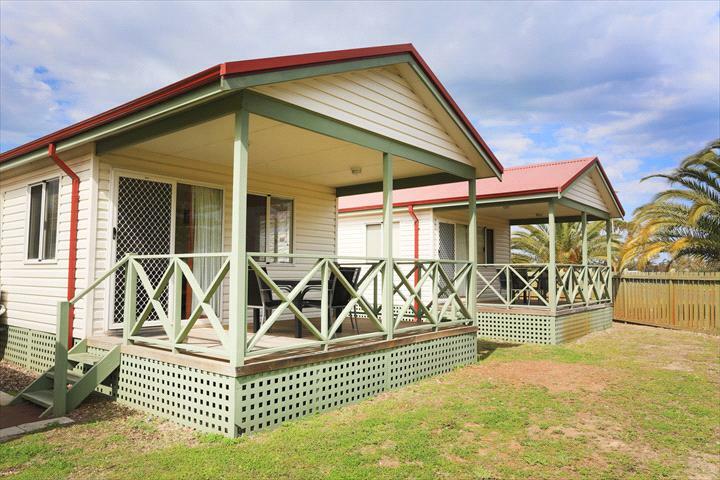 Three Bedroom Cabin, one queen bed in master bedroom, second bedroom 2 single beds and 3rd bedroom has a 1 double bed. and a single bed. Balcony with outdoor setting overlooking the inlet and with city views. Air Conditioned, Gas/ electric heater & ceiling fans. Kitchen with gas stove, oven, microwave, full size fridge, kettle, toaster, cookware, cooking utensils and cutlery. Dining area and separate living area with work desk,sofa,LCD TV and DVD player. Bathroom with walk - in double shower and separate toilet. Washing machine and dryer. Hair dryer and iron / ironing board. Open plan room with a double bed and a single bed. Linen fully provided. Kitchenette with small fridge, kettle, microwave, toaster, cookware, cooking utensils & cutlery etc.. LCD TV. Bathroom is an external private ensuite. 2 bedroom, 1 bathroom, self contained chalet. Air conditioned. All linen provided. Queen bed in one bedroom and 2 single beds in the other bedroom. Air Conditioned, Gas/ electric heater & ceiling fans. Kitchenette with gas stove, oven, microwave, full size fridge, kettle, toaster, cookware, cooking utensils and cutlery. Dining area and separate living area with LCD TV and DVD player. Bathroom with walk - in shower and separate toilet. Hair dryer and iron / ironing board. Small porch with outdoor chairs. Bookings cancelled 14 days or more prior to the arrival date will be refunded less the 1st nights accommodation. Where bookings are cancelled less than 14 days prior to arrival an amount equalling 25% of the total accommodation quoted above (or the 1st night - whatever is greater) will be retained. Bookings can be moved without penalty (dependant on revised booking period).